All children’s book illustrator Claire Turner ever wanted was to be a mother. After six years of trying to conceive, she and her husband, Josh, have finally accepted that she will never be pregnant with a child of their own. USA Today and New York Times bestselling author Steena Holmes brings us an unforgettable story of one woman’s courage and love. It is said there is no stronger love than that of a mother for her child. It breaks all the rules, knows no bounds, is able to leap tall buildings in half a step, and refocuses the scope of their lives to that one little soul that they had a hand in creating. Yes, there is nothing as long lasting, unconditional, and underappreciated than the love of a mother...but for those that have been denied that dream in their hearts time and time again, the realization of those longings makes that love that much more resilient, that much more fierce, that much more unable to accept the possibility of defeat, and Claire is going to need every last ounce of that strength to travel the road ahead. From the title and synopsis, we already know there is an unthinkable choice to make and for our couple (Josh and Claire) this little miracle is all they've dreamed of...but when lives hang in the balance, faults in the foundation of any affair can be seen. This dynamic duo has always been rock steady and how cute that he's a children's writer and she's an illustrator, thus allowing them to work together in harmony, but the prognosis for Claire isn't good and while she has her heart set on saving their unborn child, Josh is not ready to say goodbye to the love of his life...baby or not. It's a position no one should be put in, and something that will create conflicts where none existed before, but in the end, they come to realize that taking things one day at a time, cherishing every moment, and making memories along the way is the only way to ensure that no matter the outcome, their love will go on. I'm not gonna lie, the weeks of not knowing, the secrets kept from family and friends, the struggle to wish it all away when it had no intent of going anywhere, it's pretty heavy stuff. It's a good thing they had strong friendships (such as Abby and Derek), caring familial relations, and a community that truly carried them in their hearts to aid them in their time of need. In the end, an enjoyable read that surprises as well as enchants. It's not exactly what you'd expect from the start, but it's memorable and the characters will stay in your heart long after you turn the final page. 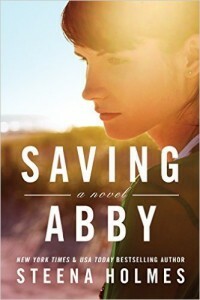 Recommended read for Fiction, and Women's Fiction fans alike. Though I didn't need tissues, I was deeply touched and thoroughly appreciate the tender way the author approached Claire's story. It wasn't about the diagnosis, though it played its part, it was about the anticipated joys of her impending motherhood, time with friends and family, and finding a way to settle the upsets of your soul when things are out of your control. I've no doubt that those that carried on through the final pages found peace despite all the upsets along the way, and that allows me to turn the final page with a full heart. After writing her first novel while working as a receptionist, Steena Holmes made her dream of being a full-time writer a reality. 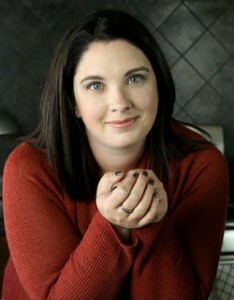 She won the National Indie Excellence Book Award in 2012 for her bestselling novel Finding Emma. Now both a New York Times and USA Today bestselling author, Steena continues to write stories that touch every parent’s heart in one way or another. To find out more about her books and her love for traveling, you can visit her website at www.steenaholmes.com or follow her journeys over on Instagram @steenaholmes. Special thanks to Lisa at TLC Book Tours for the chance to bring this promotion to you as well as the copy for review. (THANKS!) For more information on this title, the author, the publisher, THIS TOUR, or those on the horizon, feel free to click through the links provided above. This title is available now via Lake Union Publishing, so be on the lookout for it on a bookstore shelf or virtual retailer of your choosing. Sounds interesting. I always shy away from books that have to do with babies and tough decisions because I'm a weenie and cry every time. I'm glad you enjoyed it, though. I just started reading this! Great review! Steena has a way of tugging on our heartstrings with the way she writes & she doesn't shy away from difficult subjects. I give it a 10 plus!!! Wonderful review!!! Steena Holmes is a must buy author for me!!! The return of...Taste Testing Tuesdays! BLOG TOUR: Laura Reardon series celebration!